The former Seattle Sonic power forward started hosting celebrity golf tournaments and galas for children’s charities in 1993. This year’s will be his last. One of the Last Sonics Standing is leaving the philanthropy game. 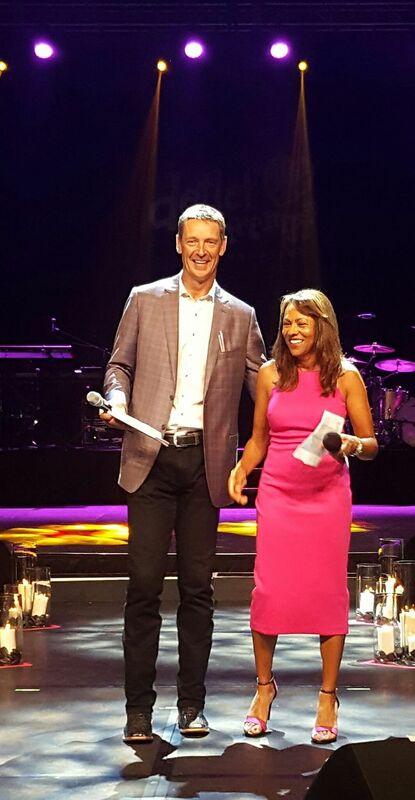 After 24 years and some $20 million raised, former Seattle Sonics power forward Detlef Schrempf is putting on his last Ripple of Giving Gala — a charitable event he started when basketball was alive and thriving in Seattle. “It has always surprised me that we were still able to do it,” Schrempf said the other day. “When we started this, the Sonics were the hottest ticket in town, sold out every night, 17,000 people screaming. We had an average 60 wins for four years. They didn’t. For nine years after the Sonics moved to Oklahoma City in 2008, Schrempf, his wife, Mari and their partner Nicole Morrison have welcomed loyal sponsors and attendees to the event — some of whom were just happy to be in the room with someone who represented a time and team they still yearn for. They’re calling the final gala the “Last Splash,” to be held June 24 at the Meydenbauer Center in Bellevue. The event — along with a celebrity golf tournament — has supported more than 100 children’s charities in the Northwest. Schrempf entered the fundraising world in 1994, when he was traded back to the Sonics from Indiana. At the time, “the hot thing” was celebrity golf tournaments, he said, so Schrempf and his wife, Mari, filed the paperwork to put one on with an accompanying fundraising dinner. They founded The Detlef Schrempf Foundation in 1996. Over the years, Ripples of Giving grew, and participants and sponsors stayed, year after year. So the Schrempfs and their team are ready for a break — and to make room for other, younger professional athletes to pick up the philanthropic reins. Schrempf, now 54 — and still 6’10” — is the director of business development at Coldstream Capital, a wealth management firm in Bellevue. He appeared as himself in several episodes of the former NBC sitcom “Parks and Recreation.” (The group Band of Horses also named a song after him.) And that may just be that. “My phone hasn’t been ringing,” he cracked. His clients are mostly business people, but he has some advice for young pro athletes. He is happy to see so many others already doing just that. Seahawks quarterback Russell Wilson has visited patients at Seattle Children’s Hospital for years, started the Why Not You Foundation in 2014 and on June 7 walked with three cancer patients in a Luly Yang runway show that benefited Strong Against Cancer. His teammate Jermaine Kearse’s 15-1 Foundation benefits the children of military families. Linebacker Bobby Wagner has a charity focused on youth basketball through the Seattle Rotary Boys & Girls Club. Schrempf’s mother was a “loving, caring person, and very generous,” but he was slow to do the same, he said. But then one of Schrempf’s two sons (they are now 24 and 26) was born with developmental delays. “Your life changes,” Schrempf said. “You become more aware of your surroundings. Hey, I got to play basketball, to play a game, for people who paid a high ticket price to see me play. He has some great memories of galas and golf tournaments past, but Schrempf didn’t talk about the celebrities who came around. “We’ve had some incredible speakers through the years,” he said. “Kids who grew up with handicaps or homelessness or death in the family. To me, that’s why we do it. “We have fun, we’re having a party, we’re having a concert and spending money and that’s all great. Of course, there was that time that former “voice of the Sonics” Kevin Calabro jumped off a boat and into Puget Sound. And when actors Gordon Clapp and Christopher McDonald were “singing like nuts” at karaoke. “We enjoyed every moment of it,” Schrempf said. And, surprisingly, it hasn’t really changed him. “I’ve lived a pretty simple life and by a few guidelines,” he said. “Treat others the way you want to be treated, and hopefully, when it’s all done, you’ve given more than you’ve taken.